DAY CPM provided strategic project management consulting services for the new main library within the Fort Vancouver Regional Library system. DAY guided the contract administration and program management services during the pre-construction and construction phases. The new library, which opened in July 2011, is a five-floor building that features extensive use of natural light. Each floor is dedicated to key functions of the library such as book stacks, comfortable reading spaces, meeting areas, classrooms, computer locations, and administrative offices. The library also houses an extensive children’s library with the third floor dedicated to Early Learning. 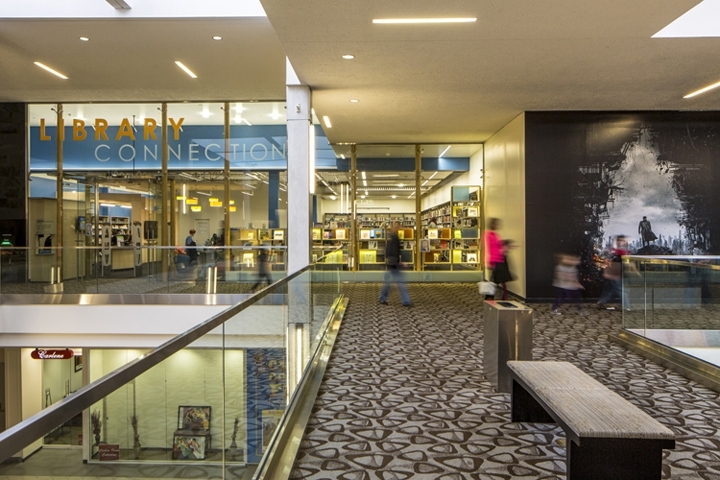 In its assessment, Livability.com called the third floor of the new Vancouver Community Library “a sensory treat that draws as many as 12,000 visitors each week. Librarians have reported seeing children hop, run and pull their parents into this magical place”. Funded with the help of a $5 million donation, it’s the biggest library-based early learning center in the nation. Built as a mixed-use facility, the building contains public meeting rooms, the Atrium Coffee Corner by Thatcher’s Coffee and The BookNook which is a used bookstore operated by the Fort Vancouver Friends of the Library Foundation. Future plans include a below-grade parking structure offering 200 parking spaces. The library is located on public transit lines and in a bicycle and pedestrian friendly central downtown area.